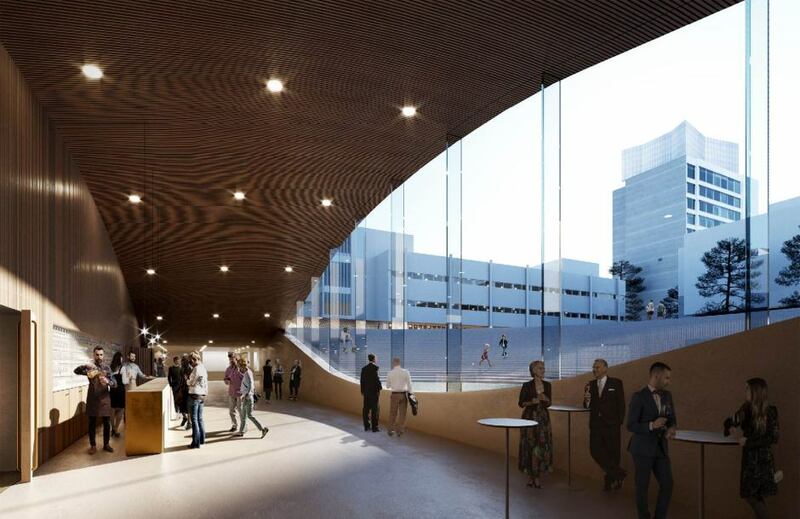 The City of Espoo will have a significantly extended culture hub in Tapiola. The City of Espoo organized a competition for the culture centre, square and their surroundings in Tapiola, a garden city world-renowned for its modernist architecture and city planning. 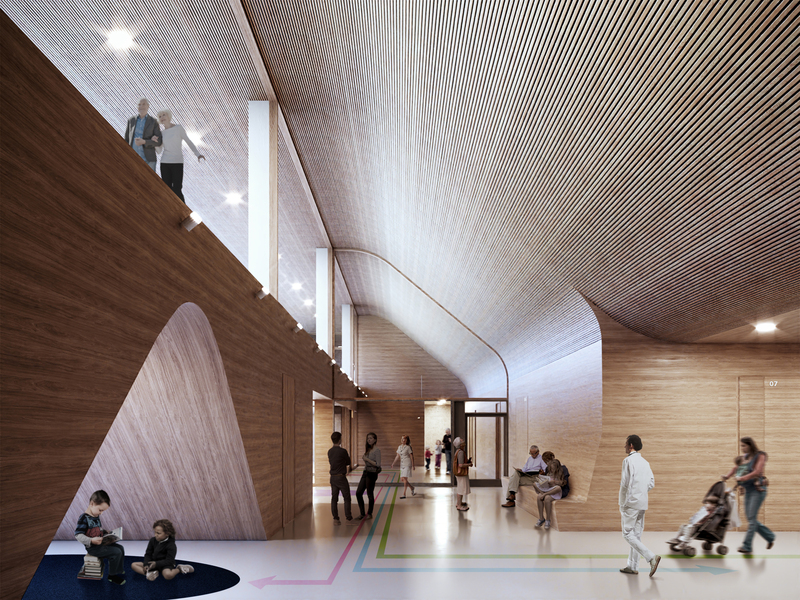 The proposal “Uusikuu” by Verstas Architects and the collaborators Arkkitehdit Mustonen Oy and Loci maisema-arkkitehdit Oy was chosen the winner. The design envisions a renewed public space – Kulttuuriaukio – a culture square, that will better integrate the current culture centre to the centre of the garden city. 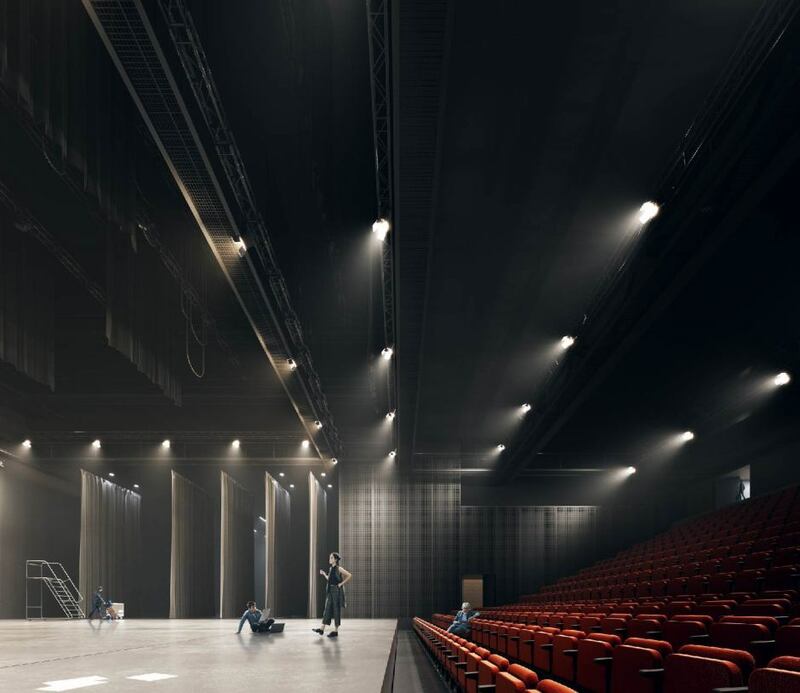 The original building, designed in the 80’s by Arto Sipinen, will grow substantially into a more versatile hub of culture spaces, including a new large, well-equipped performance hall and the expanding Tapiola library. The foyer of the new performance hall opens to Kulttuuriaukio bringing its events to the public realm. 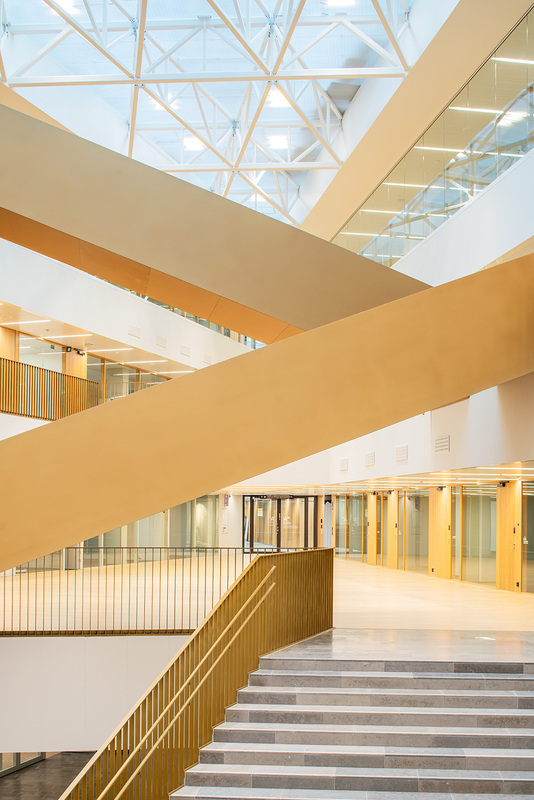 The Aalto University School of Business opens today, on February the 25th. The whole new Verstas-designed campus block in Otaniemi is in use. We are looking forward to what emerges from the School of Art, Design Architecture and the School of Business programmes being in one building! The official inauguration is later in spring. Kasvavassa työryhmässämme on tilaa myös ArchiCad/BIM-osaajalle sekä taitaville suunnittelijoille monipuolisissa rakennussuunnitteluhankkeissa. 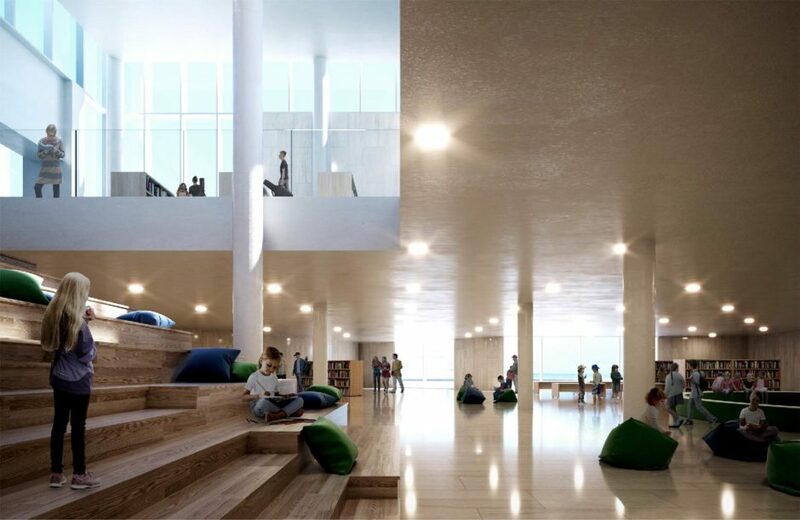 The city of Espoo awarded the Aalto University campus block designed by Verstas Architects. The campus block consists of the Väre Building for the School of Arts, Design and Architecture, the new main building for the School of Business and the shopping centre A Bloc. The jury valued the modern, yet timeless architecture and the dialogue between the new and earlier campus architecture and the public space formed between them. HURRAA award is an acknowledgement of the City of Espoo to a contemporary project in the built environment distinguished by high-class execution. The first phase of Lapland central hospital extension “ITU” receives construction decision from the Council of Lapland Hospital District. The new 32500 sqm premises include several new special healthcare units, e.g. emergency department, surgery, ICU and psychiatry. 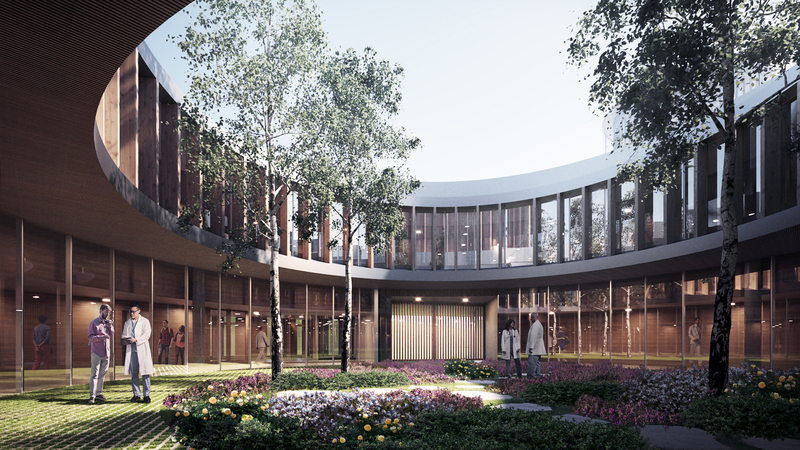 Architecture supports the healing processes by paying special attention to patient comfort. 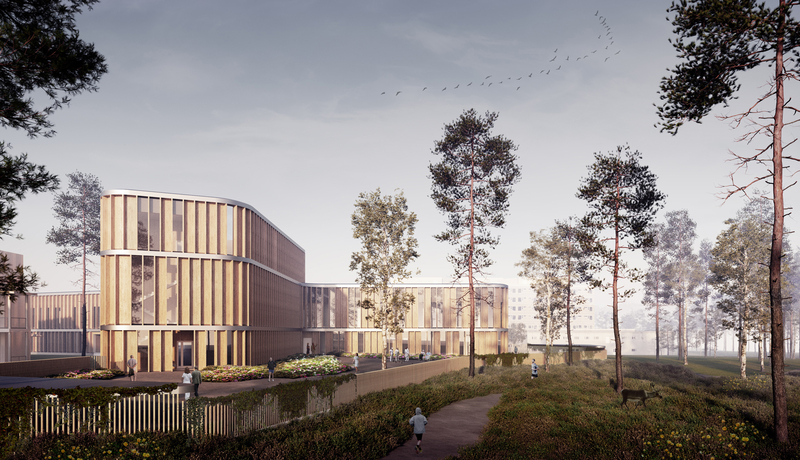 The construction of the first phase is due to be completed in 2023 and will transform Lapland central hospital into an integrated campus of patient-centered healthcare. 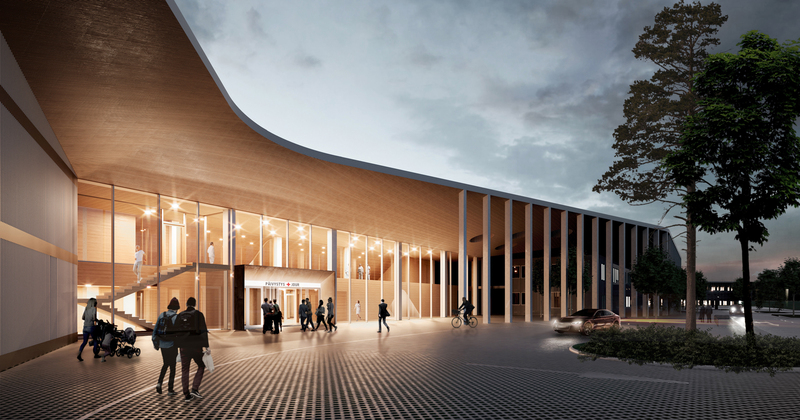 The Aalto University School Business designed by Verstas Architects is under construction. The vision of the Aalto University is to bring together technology, design and business. The realization of this vision will take an important step forward as the School of Business moves to the Otaniemi campus next year. The School of Business will be a part of the same building complex with the School of Arts, Design and Architecture, with the two schools also sharing facilities and having common courses. The whole complex is designed according to the same principles, but the characters of the two schools are different. Here is a sneak peak of the lobby, in which final interior works are on-going. The premises will by completed this year and the School moves in the beginning of 2019. The official opening will be in April. 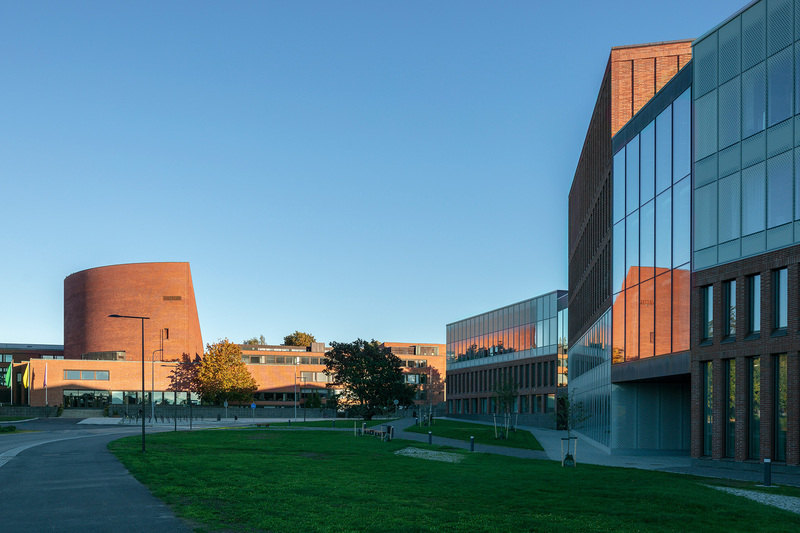 Verstas is proud to have the Aalto University Väre building nominated for the EU Mies Award 2019. Väre, the Aalto University School of Arts, Design and Architecture is open! The new building was opened with a housewarming party on Tuesday and the first academic year in it starts today. Dean Anna Valtonen opening the housewarming party for Väre. A Bloc, the new shopping in the centre of Aalto University’s Otaniemi campus will open its doors on Thursday August 30th starting 9 am. The new shopping center is connected with the Aalto University metro station and is a part of a larger Verstas designed building project including Väre, the main building of the Aalto University School of Arts and Design opening in the beginning of September 2018. The third part of the block, the new building of the School of Business will open in the beginning of 2019. 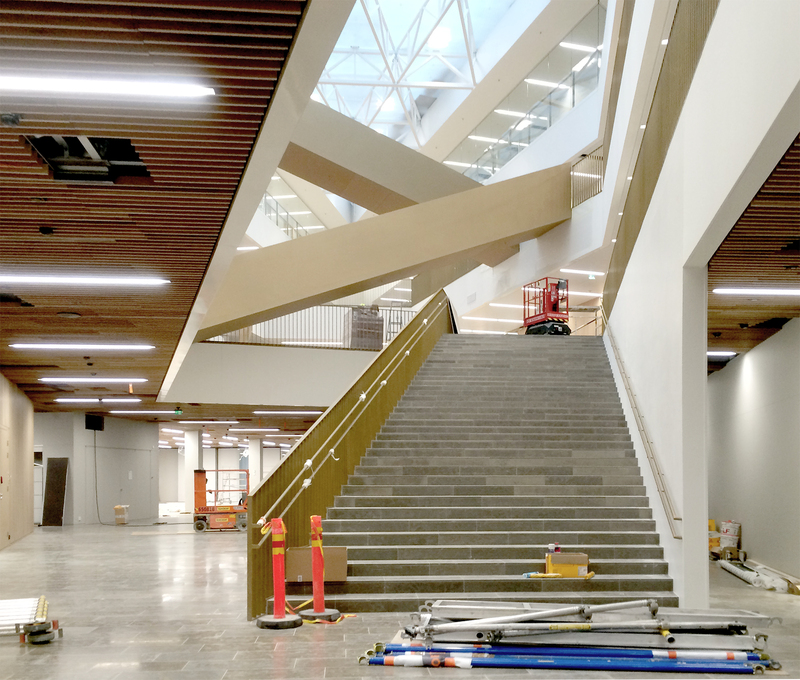 The construction work on Syvälahti multipurpose education centre is completed and the building has been taken over by the client, the city of Turku. Final furnishing and equipping is being carried out for the building to be ready to welcome its first users in June, when the child health centre opens. School work starts and the day-care centre and library/youth house will open their doors in August.